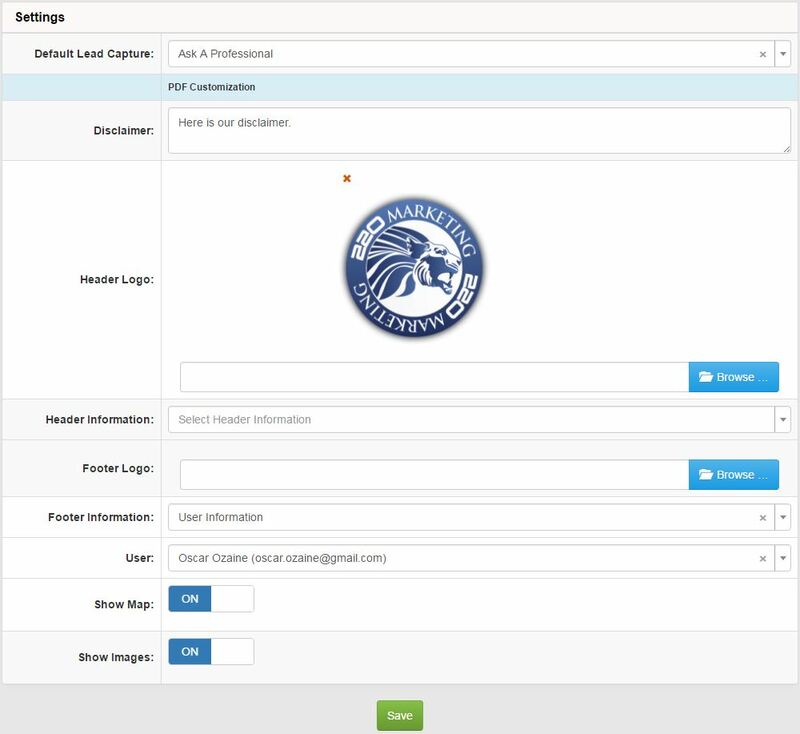 The Settings section of the Marketplace allows you to select the Default Lead Capture that is featured on your listings as well as customize certain information contained in the PDF that is created for each listing. 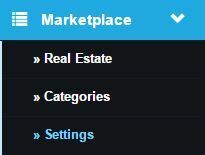 The Default Lead Capture selected in the Marketplace Settings will be the default lead capture used on all listings. When creating a new listing, you have the option to choose a different lead capture for that specific listing. The PDF Customization section will allow you to make general changes to the PDF that is available for each listing. Here you can edit the disclaimer, the header information, and footer information. You can also choose if you want to include the images you have uploaded for a listing, as well as an image from the embedded Google Maps.